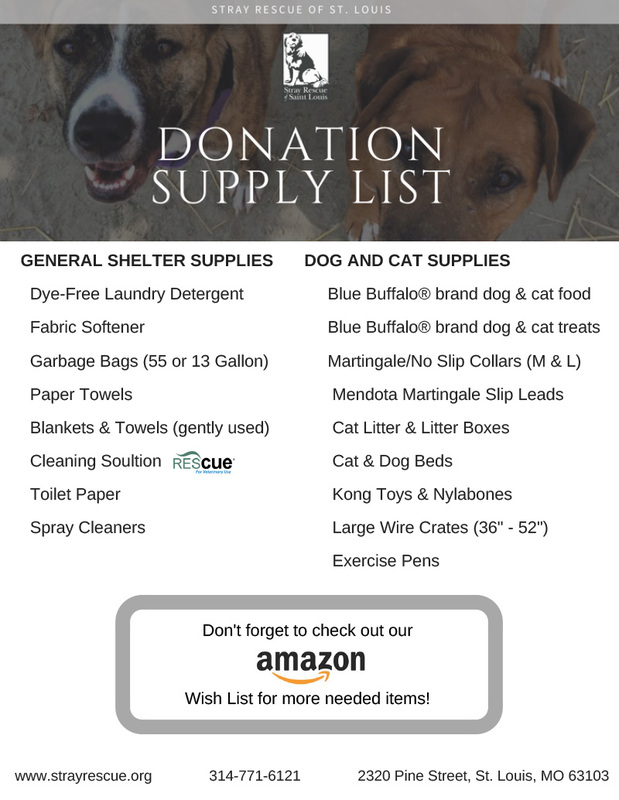 Your in-kind donations help Stray Rescue of St. Louis with items we need and use on a regular basis. Check out our Amazon Wish List! Click here to view! Be sure to use Amazon smile! when you use Amazon Smile to shop our online wish list, Amazon will donate a portion of the sale from your purchase to us!